D+I take out two prestigious Design Awards, including Best in Class, at the 2018 Australian Good Design Awards. D+I clients Concourse Golf and Everdure by Heston Blumenthal have been honoured at the 60th Anniversary Good Design Awards Ceremony held at the Sydney Opera House. The Concourse Golf 'Smart Wheels' received the prestigious Good Design Award® 'Best in Class' in the Product Design, Sport and Lifestyle category, while the Everdure by Heston Blumenthal Quantum Series Tools won a Good Design Award in the Product Design, Housewares and Objects category. The Good Design Awards Jury commented that Smart Wheels were "ingenious design and exceptionally well executed…this is intelligent design at its best…truly a brilliant product that deserves to be recognised at the highest level in this category". In handing down the award for the Quantum Series Tools, the jury acknowledged "a distinctive design aesthetic and highly functional range that stands out head and shoulders in what is a very saturated market segment. 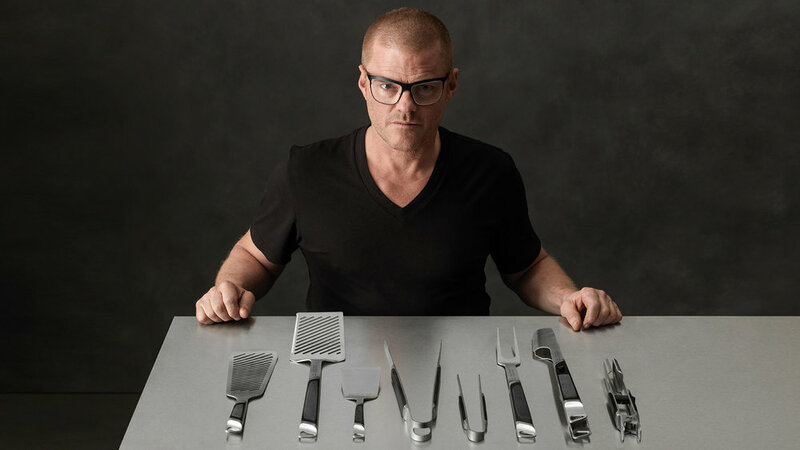 The Everdure by Heston Blumenthal Quantum Series is a beautifully designed range of BBQ tools with a commercial/professional feel and quality. Material selection is spot on with every detail carefully crafted into the range." The annual Good Design Awards is Australia’s most prestigious Awards for design and innovation, with a proud history dating back to 1958. The 2018 award ceremony was held at the Sydney Opera House, with special guest, Jan Utzon (son of Jorn Utzon, who designed the Sydney Opera House) on stage to congratulate all of the winners. D+I were represented at the ceremony by David Jones (Head of D+I) and Rod Wiebenga (Head of D+I Melbourne).